Sea birds and land birds, all seen in the Galapagos Islands, including some rare sitings. 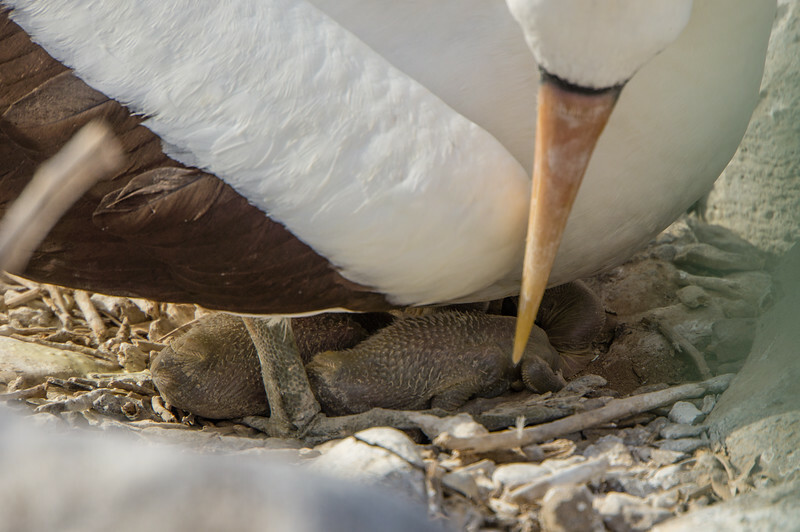 A mother Nazca booby checking up on the two chicks she is sheltering from the sun. Photographed on the Punta Suárez hike, on Española Island in the Galapagos. The eastern islands of the Galapagos are excellent sites to capture a wide variety of different birds, some endemic to the islands or to one island, and some that are also found on the mainland. I did not really have the right camera equipment for birding, so picture quality varies. But you will still see some spectacular shots among the 29 different species captured in this gallery.